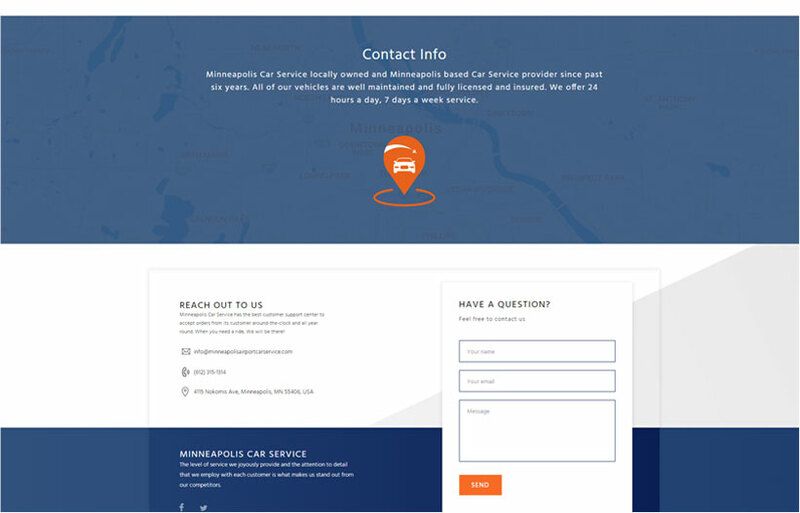 Your favorite marketing agency nearby has the perfect template for you! 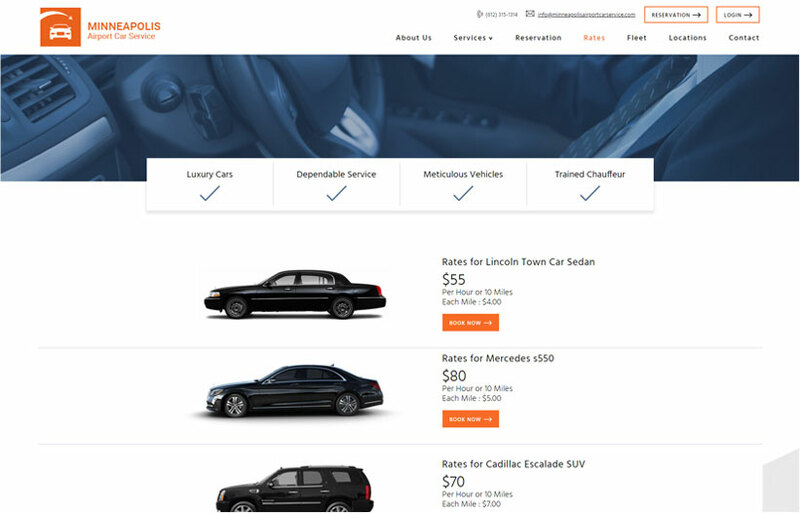 Showcase your cars and passenger and luggage ratio, testimonials, and calls to action. 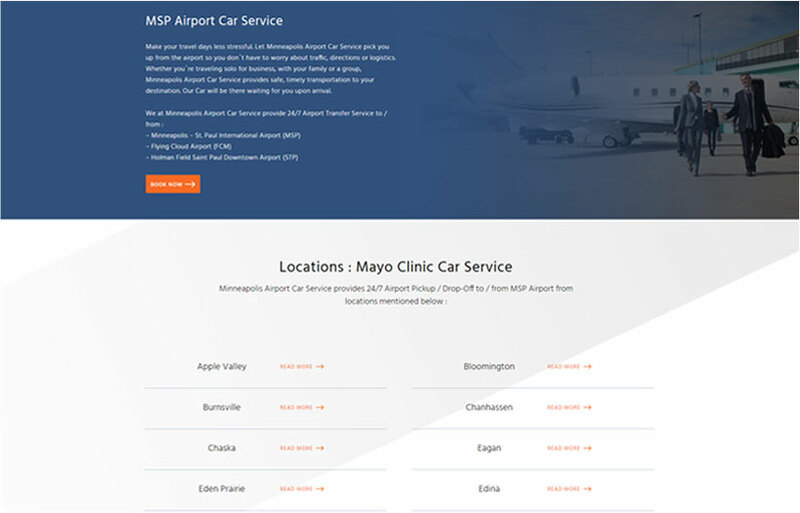 Website users can book straight from the fleet page. No matter what’s the users’ screen size, they will be able to access and view the contents of your website. 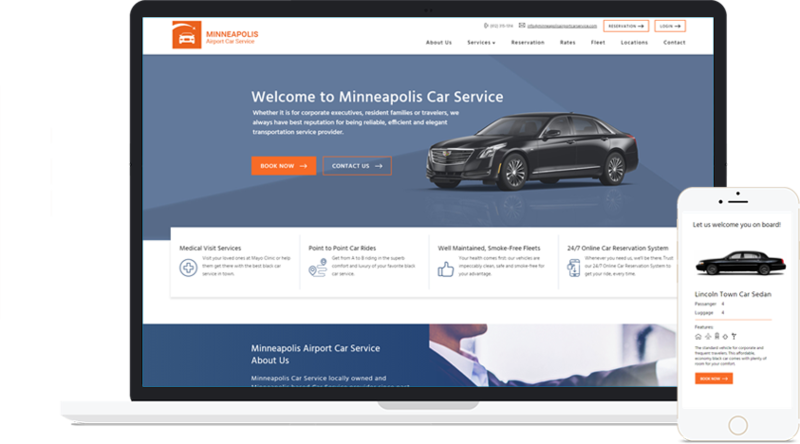 How to get a scalable website, which your visitors can navigate with ease and see all graphic elements on both mobile and desktop devices? 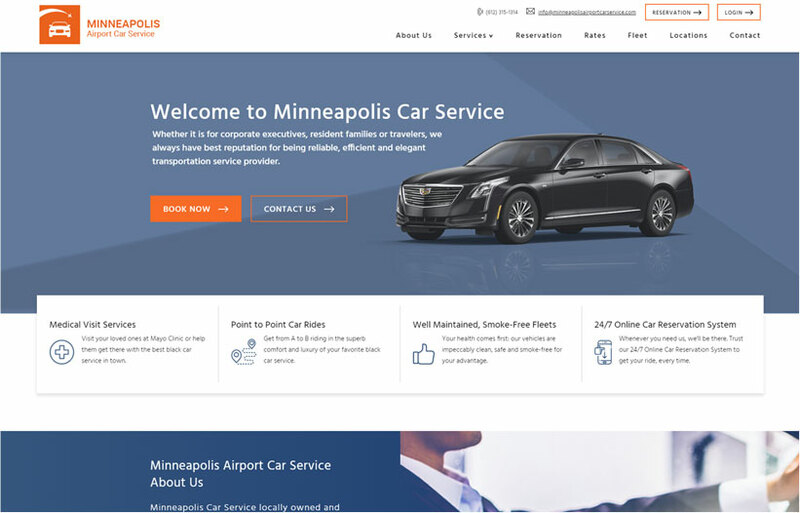 It’s simple- opt for Limolabs digital agency near me and “Minneapolis Airport Car Service” layout with content blocks distributed in coherent and easy to consume units, which makes it a dream to optimize! 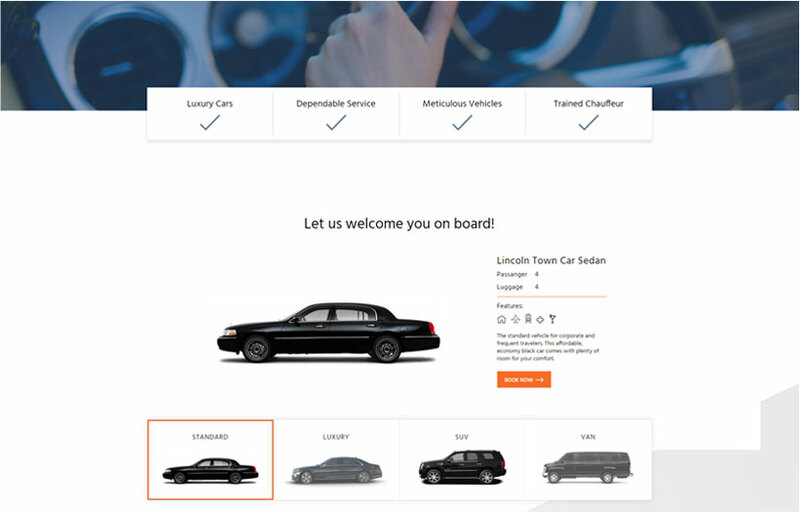 Reservation widget is prominently placed on the homepage so that future travelers can see make use of it, as soon as they land on the page. They can check the live rates and place a reservation with just a few simple clicks.